John Pilger's horrifying exposé of the West's complicity in the twenty-year genocide in East Timor. Do You Remember Vietnam? 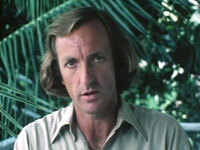 - Three years after the fall of Saigon, Pilger returns to Vietnam to examine the state of the country. "When Death of a Nation went out on TV, we registered 5,000 phone calls a minute from the public, and they went on, and on, well past midnight."